In our society today, we like to think of ourselves as open-minded and fair. We believe that we look past externals and avoid making personal judgments of others. Unfortunately, this is usually not true, even in the church. However, God has an app for that! James 2:1-13 My brothers, as believers in our glorious Lord Jesus Christ, don’t show favoritism. 2 Suppose a man comes into your meeting wearing a gold ring and fine clothes, and a poor man in shabby clothes also comes in. 3 If you show special attention to the man wearing fine clothes and say, “Here’s a good seat for you,” but say to the poor man, “You stand there” or “Sit on the floor by my feet,” 4 have you not discriminated among yourselves and become judges with evil thoughts? 5 Listen, my dear brothers: Has not God chosen those who are poor in the eyes of the world to be rich in faith and to inherit the kingdom he promised those who love him? 6 But you have insulted the poor. Is it not the rich who are exploiting you? Are they not the ones who are dragging you into court? 7 Are they not the ones who are slandering the noble name of him to whom you belong? Some small churches stay small because they become ingrown churches. Ingrown churches say they want to grow, but they want to attract people like them. Subconsciously, they do not want people who are “high maintenance.” These are people who may be poor financially, dress differently, or have various sin problems. They may be single parents, dysfunctional families, or have a messed up past. Ingrown churches make these people feel unwelcome in various ways, showing themselves to be uneasy or uncomfortable around them. Maybe they ignore, neglect, or even shun them. They may even fail to greet them. Then, when they stop coming, no one goes to see why. They justify themselves by saying; “They will be more comfortable somewhere else.” I am thankful and rejoice to say you have not shown yourselves to be this way. However, as we examine our hearts, we still need the Holy Spirit to work on us in this area, which is necessary for numerical growth. 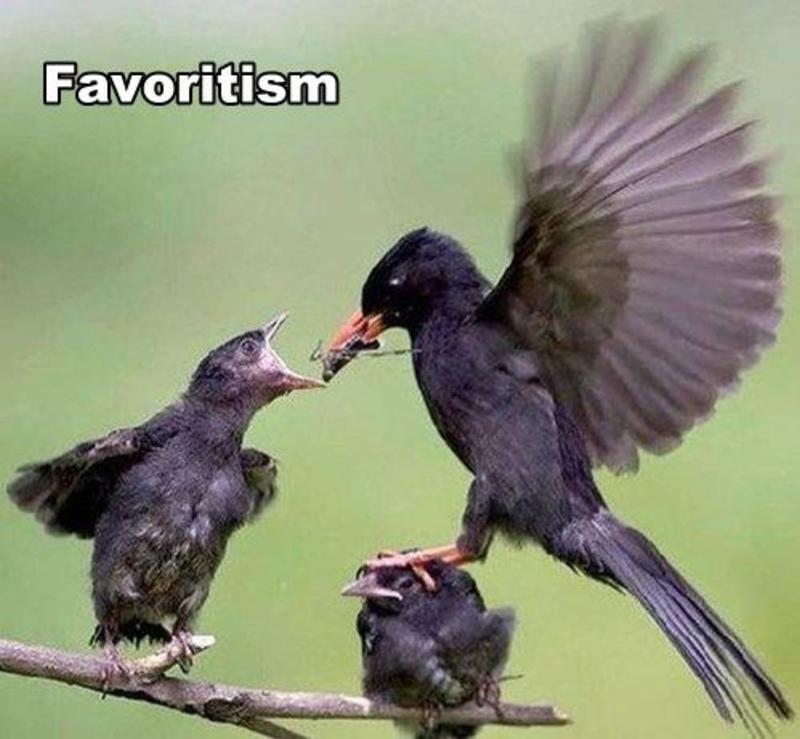 Why do people show favoritism - treating some better than others? Maybe it’s fear. When others seem strange to us, fear of their differences can lead to misunderstandings. Maybe it’s surprise. We are surprised to find that not everyone is as “normal” as we are. Maybe it’s just plain old pride. We think of our culture, our economic standing, our tastes, our looks, and our philosophy are the acceptable standard. Therefore, when someone doesn’t meet our standard, they are inferior or weird. Whatever the reason, we form perceptions that make it hard for us to see through the outer appearance into the person within. So, how do you react to people who are different than you? You are about to find out. Pay close attention to your inner reaction as we look at the people I am about to show you, because even if we don’t say or do anything, people can sense our inner reaction. Therefore, this is an opportunity to learn something about ourselves and seek God’s grace to grow in love. Would you welcome these people in church or into your home? How did you do? All those people need Jesus Christ. He loves and died for each one of them. Every one of them started out as a little baby like us. Can Jesus reach them through us? The Bible makes it very clear that the Church is to be the one place where all class, cultural, and social barriers disappear. The primary way that the Church is to be distinctive is not so much by what we believe, but by how we behave towards others. Favoritism is the idea of judging others solely on externals, like career, clothing, or color. When we judge by external appearances, we are applying the wrong values. Subconsciously, we are determining who is and who is not acceptable to God. This is something only God can do and He looks at everyone’s heart, not the outward appearance. I borrowed the following story from Larry D. Wright. Within four minutes, a loud Harley Davidson motorcycle drove up, ridden by an enormous man sporting long, black hair, a beard, and tattooed arms. With an incredible air of confidence, he jumped off and, without even glancing at Dodie, went to work on the truck. Within another few minutes, he flagged down a larger truck, attached a tow chain to the frame of Dodie’ truck and camper, and whisked the whole 56-foot rig off the freeway onto a side street, where he calmly continued to work on the water pump. The intimidated schoolteacher was too dumbfounded to talk, especially when she read the frightening words on the back of his leather jacket: “Hell’s Angels--California”. As he finished the task, she finally got up the courage to say, “’Thank you so much.” Noticing her uneasy reaction to him, he looked her straight in the eye and advised, “Don’t judge a book by its cover. You may not know whom you’re talking to.” With that, he smiled, closed the hood of the truck, and straddled his Harley. With a wave, he was gone as fast as he had appeared. Favoritism is inconsistent with God’s method of loving others. When we show favoritism we are in danger of creating an ungodly “church” with the value system of the world, attracted to power, status, and physical beauty. Favoritism considers that rich people will bring money, whereas, poor people will want money. Favoritism desires rich people who will draw other rich people, giving us worldly prestige and power in the community. Our excitement about the rich person walking in has to do with what they might do for us. That is sin. Prov. 22:2, "The rich and the poor have this in common, the Lord made them both." So, from God’s perspective the real issue is not poverty, wealth, color, or status but the condition of the heart. Jesus didn’t show favoritism when he lived here. He had some rich friends, middle-class friends, and poor friends. Jesus ministered to the Pharisees, sinners, Jews, and Romans. God sees all people of all cultures, rich and poor, in their spiritual state. He is not fooled by rings and fine clothes, or by dirt and rags. Even Jesus’ enemies had to admit His impartiality in Luke 20:21 "So the spies questioned him: “Teacher, we know that you speak and teach what is right, and that you do not show partiality but teach the way of God in accordance with the truth." Therefore, when we show favoritism, we are not following Jesus’ example of how we are to love other people. Furthermore, favoritism is contrary to the God’s royal Law. Now, for some, James’ condemnation of favoritism seems a little harsh. We may think, "Sure, our love is imperfect, we may have some favoritism, but at least we’re not murderers!" Well, that’s why James reminded us that “Whoever breaks one commandment is guilty of breaking them all.” While it is true that some sins have more serious consequences than others, it is not true that we’re any less guilty of breaking God’s law simply because we show favoritism instead of committing murder. In God’s eyes, the two sins are equal. Both sins condemn us to Hell without the mercy of God through faith in Jesus Christ. James is telling us that anyone, who wants God’s mercy, must offer the same kind of mercy to those we perceive as different or lost in sin. Therefore, if we want God’s mercy, we must not show favoritism. Horrible ramifications and consequences can come from not showing mercy to those who are different. If we, who are Christ’s ambassadors, reject people, the rejection will feel to them like it is coming from Christ or least from His Church. In his autobiography, Mahatma Gandhi wrote that during his college days he read the Gospels seriously and considered converting to Christianity. He believed that through the teachings of Jesus, he could find the solution to the caste system that was dividing the people of India. So one Sunday, he decided to attend services at a nearby church and talk to the minister about becoming a Christian. When he entered the sanctuary, however, the usher refused to give him a seat and suggested that he go worship with his own people. Gandhi left the church and never returned. He said, "If Christians have caste differences too, I might as well remain a Hindu." That usher’s prejudice not only betrayed Jesus, but also turned a person away from trusting Jesus as Savior. We can only speculate how different our world would be today if Gandhi was accepted in church that day. God is love and He sees all people in need of grace to free them from sin. That is why He sent His Son, Jesus, to set us free from sin and reconcile us to Himself. After the resurrection of Jesus and the coming of the Holy Spirit, we, the Church, became Christ’s ambassadors with the power and mission to show people how they can be saved and reconciled to God. Therefore, we are either following Jesus, who is rich in grace and mercy; who responds to people’s need, who gives without limit, and saves the helpless; or we are acting like the world, using each other, and discriminating who gets to hear the gospel from us. 1 John 4:19-21 We love because he first loved us. If anyone says, “I love God,” yet hates his brother, he is a liar. For anyone who does not love his brother, whom he has seen, cannot love God, whom he has not seen. And he has given us this command: Whoever loves God must also love his brother. Another area that we need to repent and be free of is denominational favoritism. Over the years, a number of barriers developed that separate believers. Some of us grew up in churches where we were taught that our traditions or our Biblical beliefs were the only right ones. We were taught to look down on anyone who wasn’t a part of our group, for those people are misleading people to Hell. That’s not what Jesus taught or desires. The Christian Church should always be a place where we teach the truth of the Bible with love. We do not have to compromise the truth to share it with love, gentleness, and kindness. The Bible is the Word of God, and God does not change or lie. We will stand on the Word of God although society changes all around us. We will rescue as many as we can from the destruction coming upon society and all sin. We will work with other believers whenever we can and still remain faithful to God. We understand that there are matters of opinion, where we can agree to disagree, and still love one another and practice unity with those from other denominations. After all, many of us came from other denominations. We are here because, like other people outside these walls, we are hungering for a church where the truth is spoken courageously and people are loved unconditionally! That’s the kind of church we ought to be. That’s the kind of people we ought to be. The church needs to be a place where all can come, hear the truth, and experience the love of God. We are able do this, because we know what love is, for God has shown it to us. Therefore, we ought to show God’s love and acceptance to others regardless of who they are or from where they come. Everyone who comes into this church will be welcomed equally. No one is to receive better treatment because of their cultural background, financial condition, or social status. The most prevalent sin in the church today is not racism but class-ism. People get all excited when some famous celebrity gets saved, but don’t give it a thought when a homeless alcoholic comes to Christ. That should not be and that is what James is addressing. So let us repent of all class-ism, prejudice, pride, and favoritism in our hearts. Let’s continue to open our doors to all who seek salvation regardless of their sin, culture, social status, wealth, political affiliation, or outward appearance. That is what Jesus would do. Matt 9:10-13 While Jesus was having dinner at Matthew's house, many tax collectors and "sinners" came and ate with him and his disciples. When the Pharisees saw this, they asked his disciples, "Why does your teacher eat with tax collectors and 'sinners'?" On hearing this, Jesus said, "It is not the healthy who need a doctor, but the sick. But go and learn what this means: 'I desire mercy, not sacrifice.' For I have not come to call the righteous, but sinners." Jesus has given that commission to us, to call sinners to repentance and forgiveness, to show them the mercy and love that we have received from God. We must do this without discriminating between people based on our preferences, or whether or not they are similar to us, for that is favoritism. Every sinner is welcome in this church; otherwise, no one would be here. Just as God is changing us, He will change every sinner who comes to Him for forgiveness and a new life. If you have never given your life to Jesus and received forgiveness of your sins, I have good news. God shows no favoritism regardless of who you are, what you have done, or how bad you believe your sins are. All have sinned and fall short of God’s glory. Everyone needs salvation through Jesus Christ. Today is your day to receive it.